!Organism puts out top techno tunes at an alarming rate, but each and every one is an essential offering that keeps the worlds best DJs in high grade club weaponry. 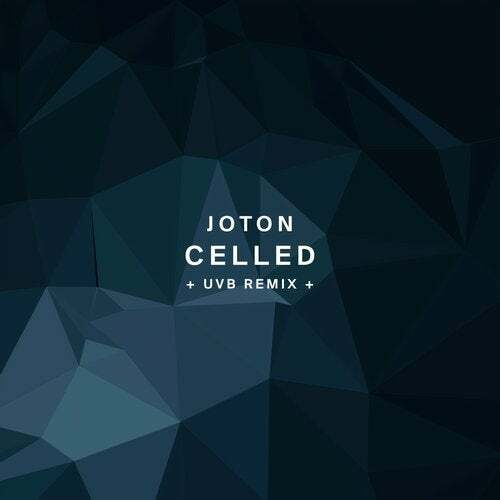 Next up is Joton with two originals, whilst UVB remixes in great style. Joton is Jose Angel Palacios Robles, a Spanish DJ who has been at the top of his game for decades. His label Newrhythmic is a real bastion of techno quality and finds him putting out dark cuts that also come on labels like Format, Animal Farm and Quant. Well known by the worlds DJ elite and with Groove Mag big fans of his 2015 LP Casting Out Nines, he has also headlined clubs on most major continents and now offers up two more tasteful missives. Excellent opener 'TSCLC' is a fusion of brain frying synths, heavy hitting drum funk and loose limbed percussive hits. The cumulative effect is physical and urgent and makes the track a real standout in any set and on any floor. The powerful 'Celled' is next and is a boisterous cut with frazzled synths and rumbling drums barreling along with a pumped-out chest. Incendiary hi hats add scale but this one is all about brute force and is another real banger. UVB is the remixer here, a French artist who is not only a DJ but also a live performer. He has seen support from Marcel Dettmann and Lucy and it is clear to see why: his terrific take on the original is expertly stripped back to a funky, undulating drum line with frosted synths shooting across its surface. All in all, this is another arresting EP from one of technos finest labels.